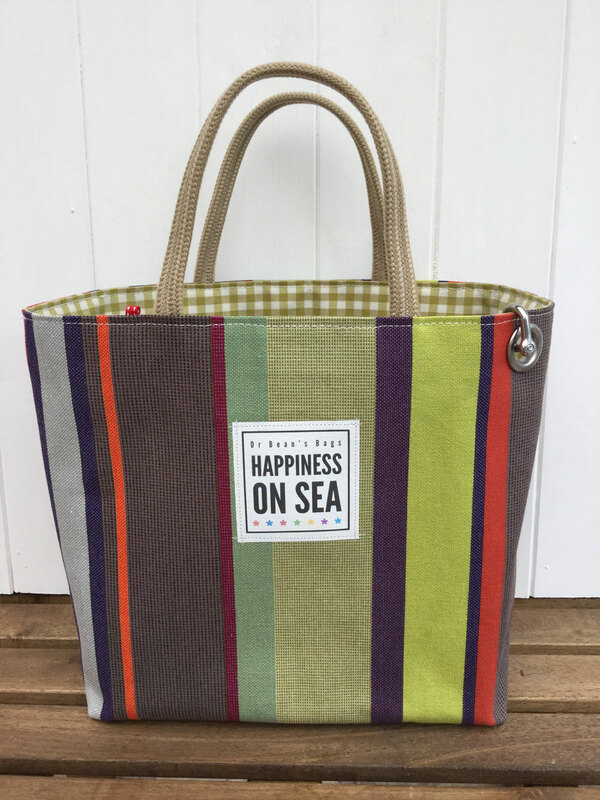 including P&P to UK addresses. 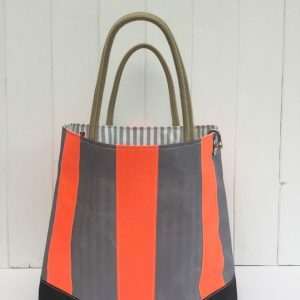 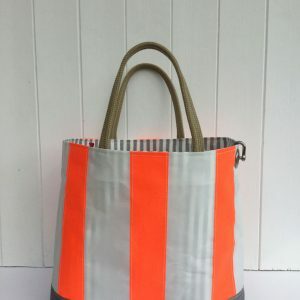 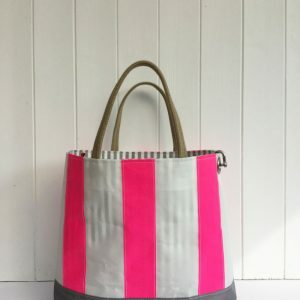 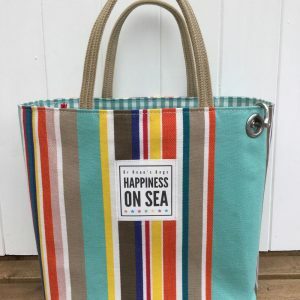 A lovely mix of mainly green stripes, this bag is made from durable, stripy French deckchair canvas, with a green & white check lining, eyelet and shackle. 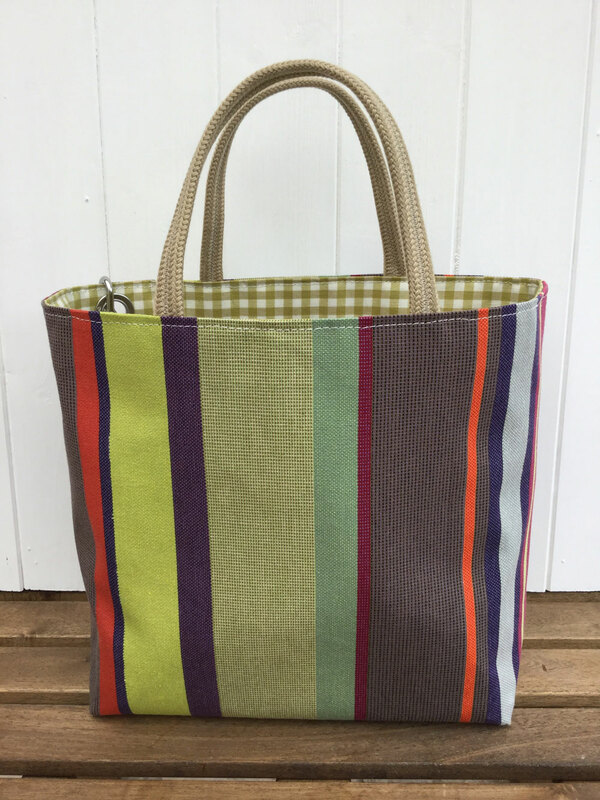 Jute handles.